I have had many patients over the years ask me about having an elective cesarean section and I find it to be a great opportunity for us to discuss what’s going on. There are patients who are making choices and should be allowed the room to make those choices about their childbirth. But sometimes, there’s something else behind it, whether it’s a fear of the body, a fear of a loss of control, somebody who has a really tight schedule. If I can address that head on with a patient, I can explore what’s going on. And they may make the exact same decision, but at least we’ve had the discussion. I think my job as a physician is to deliver a healthy baby to a healthy mommy and to provide information on the risks, benefits and alternatives. The benefits of a natural childbirth are great. There’s a lot of physiology that we don’t understand that may be required to happen. But the risks of a cesarean section – it’s surgery – are not that great. 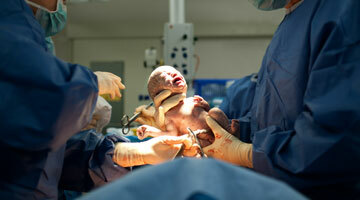 It can be exaggerated how great the risk of a cesarean section is. So if I can have an open conversation with a patient, then I’m comfortable with helping them make that decision.